Portal Home > Knowledgebase > FAQ > How to create Website using Rvsitebuilder ? 3: Now click, No, I'm fine.Thanks! button. 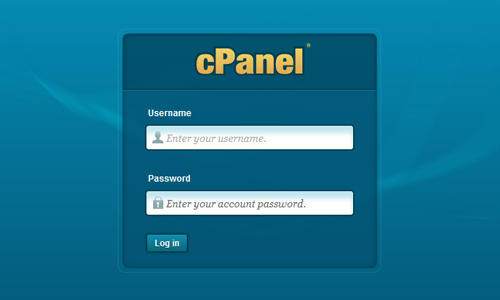 4: In Your Cpanel, Click RvSiteBuilder Icon in "Software/Services" Section. This is the Home screen on which you will see STEP1 to STEP7 at the top of the page. From here follow the step by step instruction given below to build website using RVSiteBuilder. Here, you would need to choose one of the option shown in the image: Create Web Site, Create Blog or Create Photo Gallery. Here in the tutorial we are going to show you on how to create a web site. By clicking on the “Create Web Site” it will redirect you to the STEP1. Here on this page, you would need to enter the details shown on the image below. You also can see some check boxes are given, such as No Company Name, No Slogan and No Logo. If you do not wish to enter "Company Name, Slogan or Logo" field, you may just check the box and it will disable the field. Once complete, click on the “Save and continue to step2” to move further. See below image. On this page, select your choice of template from the huge templates list given in the left of the page. There is 800 templates that has been provided to you. If you do not wish to choose one of them, then you can go for the two options given there: “Create DIY Template” or “Export and Import”. Using this DIY option, you can do great things such as creating DIY template layout, changing header style, body color, navigator color and background of your website. See below image for both the options. By selecting the first option “Create Database Automatically” it will create a database automatically, and if you wish to create it by your own select the second option “Custom database configuration”. Once you are done with creating database, click on the Save button on the “Page Structure” page. On this page you can add content to the web pages you have selected in the STEP4. To edit every web page content, it shows two options: WYSIWYG & HTML. By choosing the HTML editor you will be able to edit the complete source code of that web page. Once you are done with the modifications, click on the STEP6 at top of the page. On this page, you can edit the “Web Page Title” that will appear in your browser. You can also add meta tags to improve your rankings and get indexed by search engines, page effects and page name for example http://yourdomainname.com/Our-Products-Page). This is the last step to finish your website construction, you can either choose the site from the first drop down box, or you can set the address by choosing the second option. For example http://www.yourdomainname.com or http://www.yourdomainname.com/folder . Once you have decided, you may hit the Publish button.